Hey everyone! So from June 17 to the 24 I was in California. 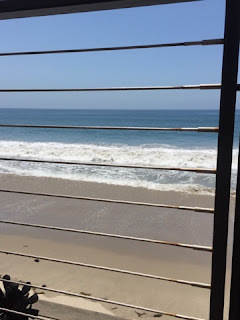 The weather was beautiful and I spent my time in San Francisco and Los Angeles. I most definitely have a bunch of posts coming about my trip. 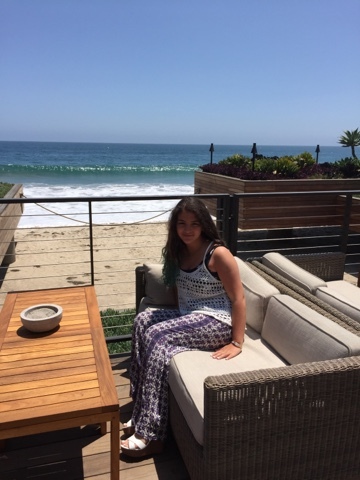 On June 23, I was in Malibu to celebrate a late Father's Day with my family and family friend. 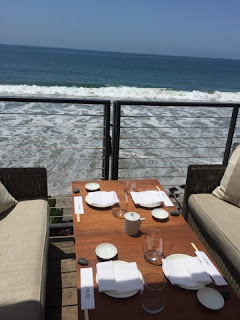 We went for Asian Fusion food at Nobu, Malibu. This post has some pictures of Nobu and my outfit. 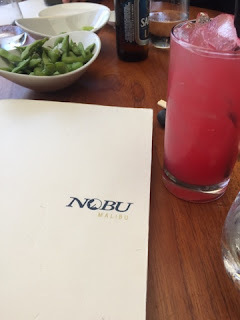 I am a huge fan of Japanese food so going to Nobu was really nice. My drink was watermelon juice because I thought it was a pretty color and it was so delicious. The restaurant was on the beach in Malibu. We didn't sit at this table but it looked so nice and I really wanted too. 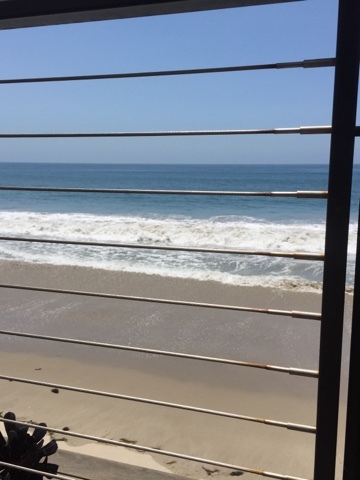 The whole time you could hear the waves while you eat. I love taking pictures on the beach. Being in California makes me want to learn how to surf and paddle board. 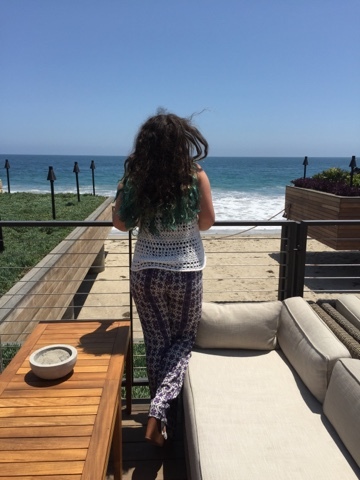 The ocean was so pretty. I posted this picture to instagram (you can follow me here // I'm on private but I accept everyone). Should I do more OOTDs? 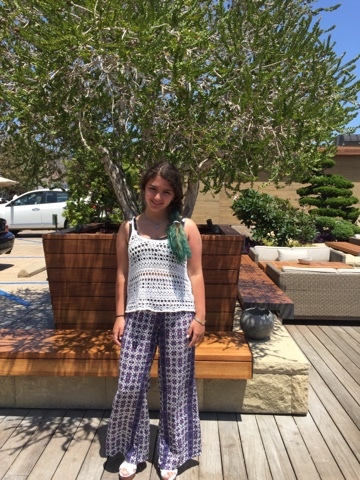 Comment what your plans for the Summer are?